Who would have thought that a piece of paper with a few words could become so significant to one’s career or economic success? Though an employer may spend less than a minute reviewing your résumé, it’s the leading marketing tool a job applicant uses to promote him or herself. Résumés have come a considerable way from their humble beginnings, and it’s quite an interesting journey to observe. 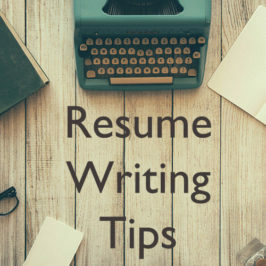 In fact, the history of the résumé would likely span several dozen pages because the historical events that shaped the résumé span over five centuries. The earliest known résumé was crafted by Leonardo Da Vinci, who in 1482 penned down his qualifications for the Duke of Milan, Ludovico il Moro. In the manuscript, Da Vinci elaborates on his talents and capabilities, making the first-ever résumé feel like a cover letter. The entire document focused on Da Vinci’s current skills and how they could be used to the benefit of the Duke. By 1500, a Lord in England would begin using this hand-written letter of introduction to market his skills and talents. Slowly, the popularity of the résumé as a letter of introduction naturally became the mainstream standard and spread throughout Europe. Many organizations and institutions valued the résumé, though it wasn’t a professional necessity during this time. 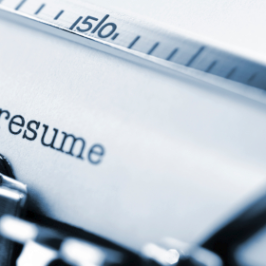 In the 1930s and 1940s, the résumé evolved from an old-age document to a modern-life norm. This formality often led to lunch with potential employers and interested companies. Instead of a handwritten letter of introduction, the résumé of the 1940s focused more on the aspirant’s interests and current affiliations. The résumé also included personal information such as marital status, age, weight, and religion. By the 1950s, the résumé would become a “required” component of the application process. The technological developments of the 1970s bolstered individuals’ options to showcase their experiences and skills. The availability of video made it a popular medium for the résumé. Video résumés were known as VHS portfolios. As VHS portfolios became a popular option for job applicants, the résumé and career counseling industry boomed. More options meant that people needed more help honing their professional summary into an easily digestible piece of content. The video résumé was popular because it added a personal touch and allowed potential employers to connect a face with a name. Video résumés largely skipped the DVD era and generally went straight from VHS to the internet. In fact, the foundation of CareerBuilder in 1995 helped accelerate the use of the internet to further one’s professional career. During this time, video résumés fizzled in popularity, but in 2007, video résumés hit YouTube and regained popularity. Today, video résumés are used by professionals in nearly every industry. But video résumés are still the most popular among high school and college students, who often send them to interested colleges and grad schools. Privacy settings and the ease of sharing make YouTube a convenient platform for many job applicants still using video résumés. In 1986, we have the first recorded prediction of the résumé’s demise. Of course, however, résumés are as popular today as they ever were, but the internet has changed everything. While it’s still encouraged to have a physical copy of your résumé, many job applicants rely on digital documents and PDFs to send their résumés to potential employers. 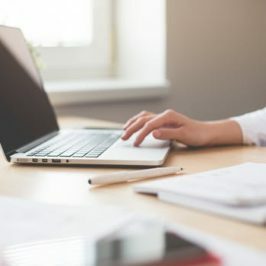 In fact, many job hunting and networking sites have built-in résumé templates that allow users to upload their qualifications onto the site itself. These templates make it easier for applicants to ensure all pertinent information is included on their résumé. 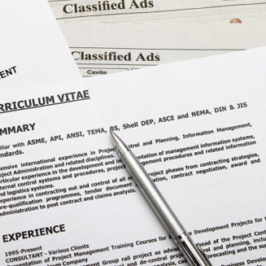 The digitalization of résumés, however, has added new concerns. Instead of simply focusing on formatting and what to include, many job applicants are considering Search Engine Optimized (SEO) résumés. By optimizing for search engines, applicants make their online résumés more accessible and easier to find for recruiters. This is a particularly popular option for those applicants who have their own website or professional blog. While a résumé can be sent directly via email or through a webform, an optimized résumé opens the digital door to endless possibility. Similar to the video and digital evolution that revolutionized the résumé, the content of résumés is incredibly different today from the letter of introduction that Leonardo Da Vinci wrote in 1482. The résumé boom in the 1930s and 1940s made résumés appear more like a curriculum vitae than today’s résumé. These résumés highlighted professional experience in chronological order with brief biographical information. However, applicants never boldly stated what they had to offer to employers, as this could be seen as too “conceited.” Of course, this contrasts with résumés today, where applicants highlight their accomplishments and may even embellish them. Today, the résumé combines Da Vinci’s letter of introduction with a curriculum vitae, as we often submit a cover letter with an attached résumé. The age of the World Wide Web has further increased the opportunity for creativity when it comes to résumé creation. While premade templates make it easy to craft a résumé, many applicants prefer an original or more personal touch to their documents. Many resume professionals and career counselors are available to help draft, revise, and offer advice for the most effective résumé possible. Amidst all the changes, however, the core of the résumé remains the same: to showcase your best skills to get you a job. Regardless of the evolution of the résumé and the changes to come, focusing on you is the most important part. 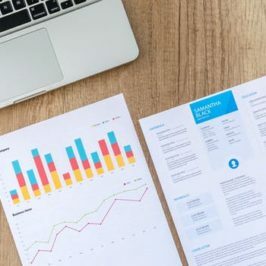 Formatting the résumé to match today’s digital trends only makes it a more effective and valuable marketing tool for you.